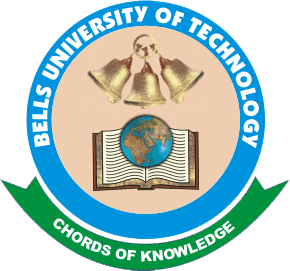 Bells University of Technology Acceptance Fee Payment and Acceptance Form Printing Guidelines for Freshers/Newly Admitted Students for 2018/2019 Academic Session. FIRST AND FOREMOST, CHECK THE ADMISSION LIST BELOW FOR YOUR NAME, to be sure you have been offered admission. Please visit the application portal at http://portal.bellsuniversity.edu.ng/application/ / http://portal.bellsuniversity.edu.ng/topupapplication (for special direct entry) click on Returning Applicant Login. Using your registration number(jamb) and Password,to pay the Non-Refundable Acceptance fee of Hundred Thousand Naira (N100, 000.00) and for Direct entry(top-up). Fifty Thousand Naira (N50, 000.00) only using a Mastercard registered for online payment by your bank and print out your receipt, not later than two weeks after the receipt of the admission letter, to avoid forfeiture of the Provisional Admission you have been granted. Referees’ reports written on letter head paper, one of which must be from a Clergy and your current employer or any reputable individual in the society, attesting to your character. All payment to Bells University of Technology from this point onwards, are to be made online through our Portal only, using a MasterCard that is registered by your bank for online transactions. Please be informed that fees paid are not refundable after acceptance of Offer of Admission or upon voluntary withdrawal from the Programme. Further relevant information about your studentship is available in the Student Information Handbook, which will be supplied to you after verification. You are expected to digest the content and the provisions of the Handbook. The university pays particular interest in the dressing of students. Visit our website at http://www.bellsuniversity.edu.ng/campuslife/index.php?page=dresscode for details on dress codes. Non-compliance attracts stiff disciplinary measures. Students are therefore warned in their own interest to comply. You are warmly welcome to the promising world of Bellstech and we wish you a successful academic and all-round experience.